​Currently this work is funded by a NASA Biodiversity grant to Phoebe Zarnetske (MSU), Kyla, and Sydne Record (Bryn Mawr). We call our group bioXgeo. 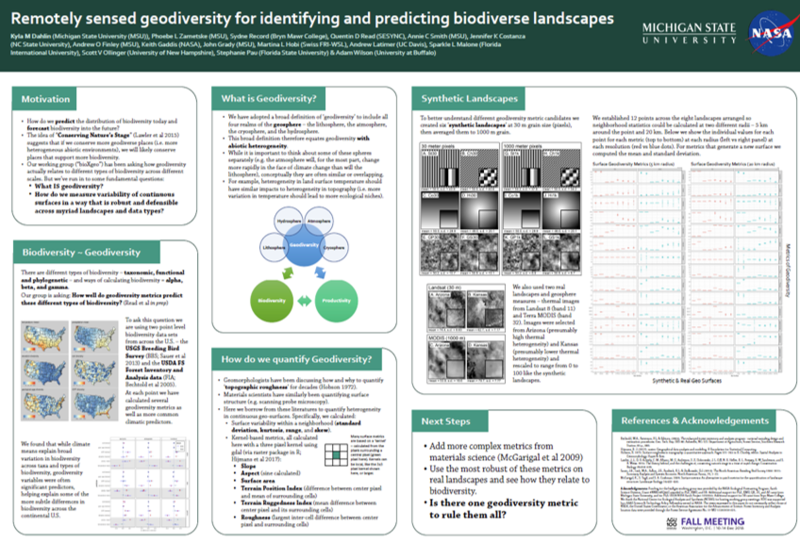 One of the many ways we can think about understanding and predicting biodiversity is to ask whether it is a function of abiotic heterogeneity, sometimes called 'geodiversity'. Are more geodiverse places more biodiverse? Is the relationship fixed across the many, many dimensions upon which that question can be asked? Is it the same for all taxa? all geo-variables? taxonomic vs functional vs phylogenetic diversity? alpha, beta, and gamma diversity? And then, the question that underlies most of our work, what about scale? We are asking these questions through a series of projects focused currently in the US and on bird and tree diversity linked to satellite-measured geodiversity (topography and climate, mostly). These questions are directly relevant to land managers and fall under the concept of 'Conserving Nature's Stage'. Geodiversity influencing plant biodiversity in the Grand Canyon. While the many dimensions of biodiversity have been well defined (see above, though there are still plenty of debates around those! ), dimensions of geodiversity are still being developed. In the case of discrete variables (geologic type, soil type) the 'types' can be treated as species and many of the same metrics can be applied (e.g. Shannon Index of geology). But how do we quantify variability on continuous scales? What are ecologically meaningful measures? Standard deviation of elevation is one simple way, but there are other more meaningful metrics that could be calculated. Materials science has been quantifying surface properties for a while - we are trying to apply some of these approaches in a way that makes sense for ecosystems. This could also apply to measuring continuous surfaces of biotic surfaces, too (e.g. quantifying heterogeneity in leaf functional traits). 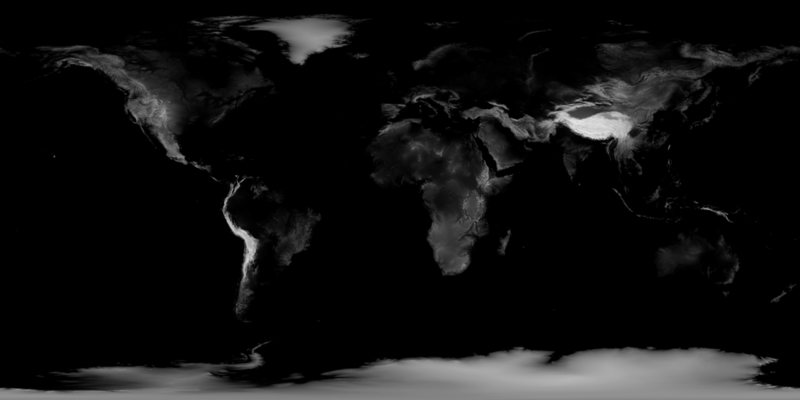 Map of elevation from NASA's Visible Earth program.